Wetumpka Elementary School in Elmore County is piloting a STEM program with a group of of first grade-fourth grade teachers under the leadership of Mr. Tracy Wright, Instructional Specialist at WES. These teachers plan and implement rigorous STEM activities in their classrooms. Mr. Wright has partnered with Technology in Motion Specialist, Carol Foster of Auburn University. Mr. Wright and Ms. Foster collaborate on planning innovative STEM lessons and provide trainings to support to the teachers in this process. 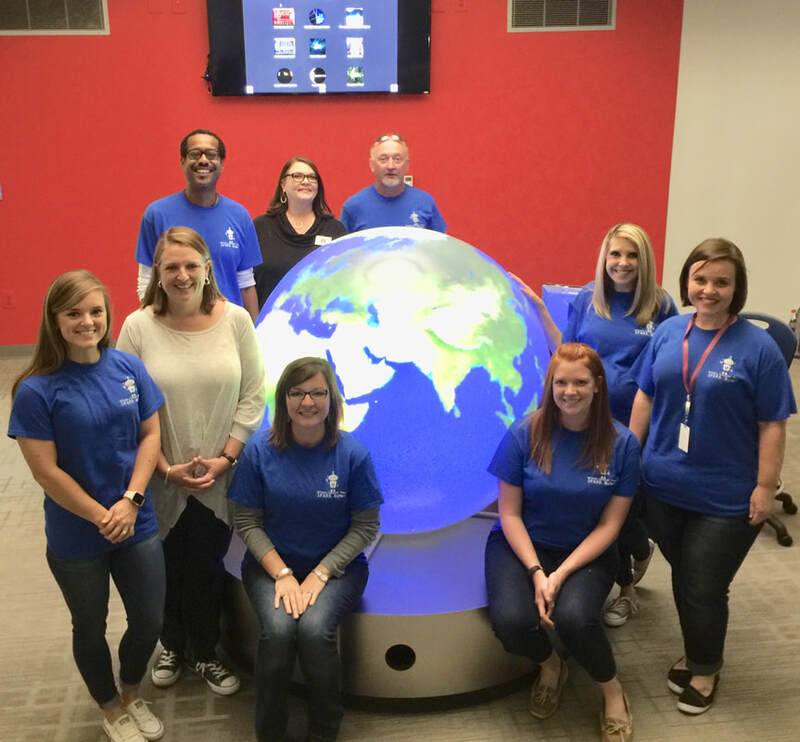 Ms. Foster recently planned a trip for Wetumpka Elementary School’s STEM teachers to visit the Dyer STEM Center at Phenix City Schools. Superintendent, Richard Dennis also attended. Angel Wilson, Dyer Family STEM Center facilitator gave the teachers an interactive tour of the facility. The Dyer Family STEM Center, located on the campus of Phenix City Intermediate School, is a world-class educational facility where students are immersed in various STEM-related labs and activities. Each 6th and 7th grade student attending Phenix City Intermediate School attends a 30 minute class each day in one of four labs. The labs include engineering, coding, digital media, and 3-D virtual reality. State of the art equipment in the labs and interactive atrium gives students experiences for establishing a solid foundation in science, technology, engineering, and mathematics. WES teachers were able to participate on hands-on interactive boards and planetarium. Teachers also visited classrooms to see STEM activities in action with students. You can visit http://phenixcityintermediateschool.weebly.com/dyer-family-stem-center.html to learn more about Phenix City’s Dyer Family STEM Center. 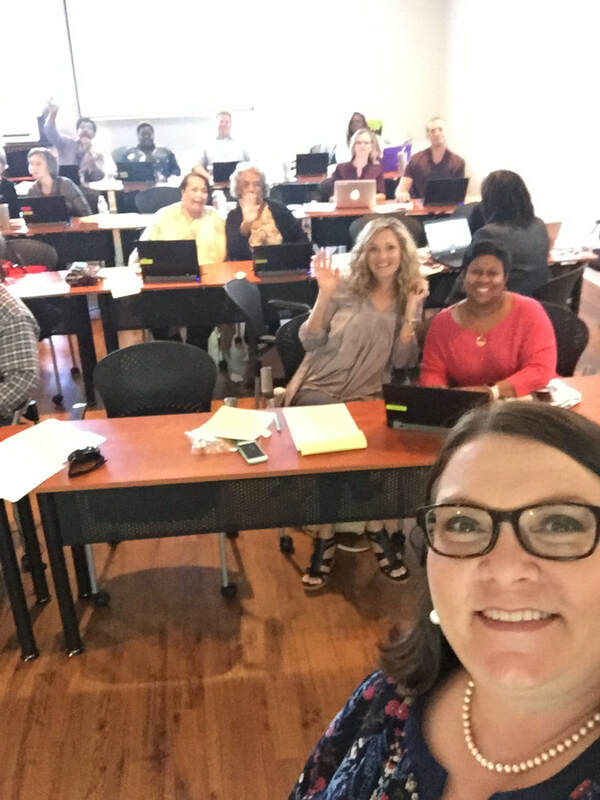 Administrators in Elmore County will participate in Day 2 of PLU 558 with Technology in Motion Specialist Carol Foster of Auburn University . The purpose of this professional learning unit is to develop an implementation plan so that schools and LEA’s have practical hands-on strategies for educating teachers, students and parents in digital citizenship, digital literacy and digital safety. School leaders will explore best practices and look at several successful digital citizenship initiatives in other states and school systems as they develop strategies for implementation of successful digital citizenship training in their school or LEA. Participants will discuss ideas and strategies with other leaders in the group and apply them to their own digital citizenship implementation plan. Technology in Motion Specialist of Auburn University held the very first Alex City Media Specialists and Instructional Partners PLG. The teachers collaborated on teaching strategies and technology best practices. They learned about Booksnaps and connecting text to technology. This continuous PLG will also focus on best practices, technology integration ideas, Digital Citizenship activities and the SAMR model. Lee County Schools will begin year 4 SPARK Training for teachers. Lee County partners with Carol Foster, Technology in Motion Specialist at Auburn University to plan innovative lessons to present to the teachers. 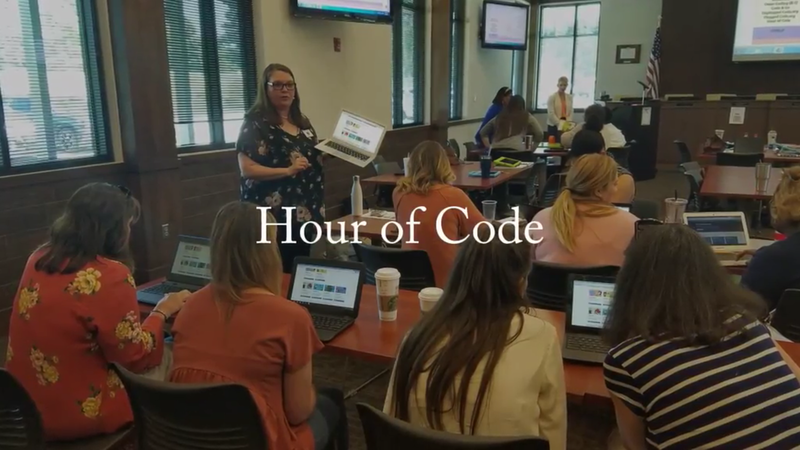 Teachers will learn technology tools and strategies throughout the two days that will enhance technology use and "SPARK" an interest in students to take ownership of their own learning.